Take your contests to another level. In need of a contesting engine that you can re-purpose and use for all your digital activations? Look no further. 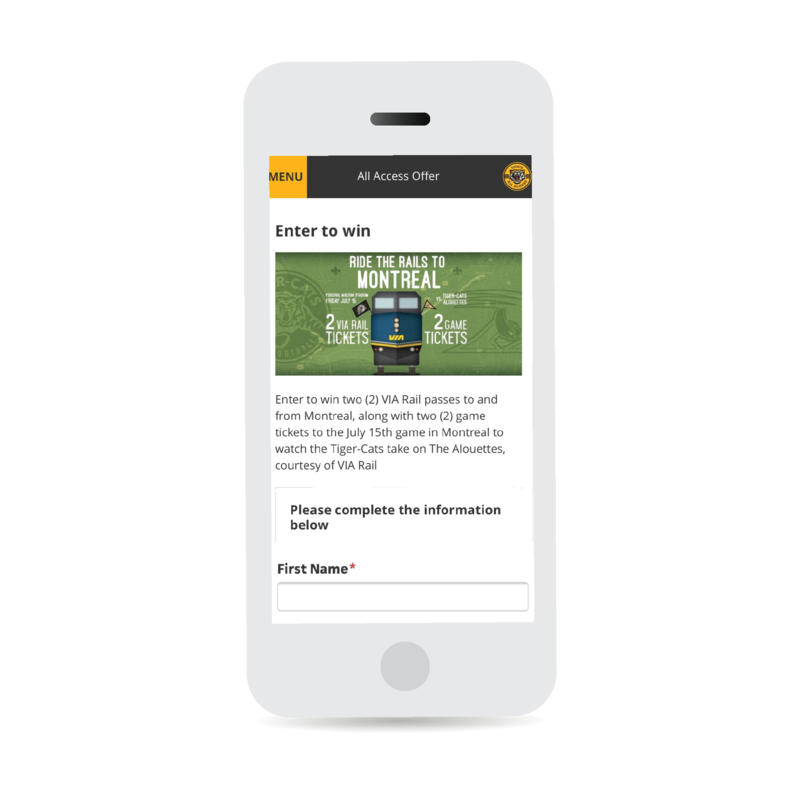 With Stadium Digital’s All Access platform, you will be able to run any number of contests for your organization and/or partners alike. Whether it is a simple “enter to win”, promo code, physical/digital activation, special keyword, fantasy, or voting, we will be able to give you the tools you need to succeed without the heavy price. Interested in launching a contest? We work with every client to determine the best ways to maximize their contesting ROI and meet their overall business objectives.